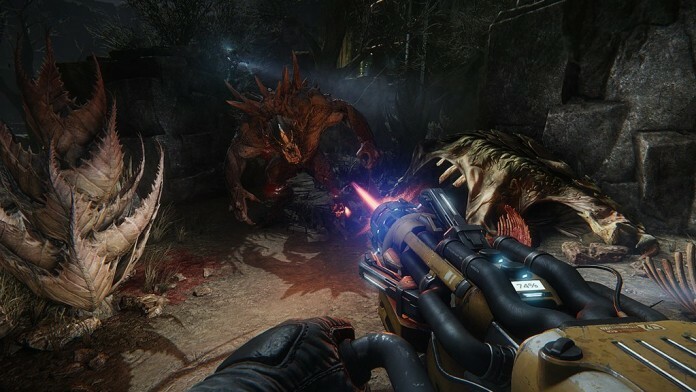 Although Evolve is only going to see daylight sometime in February (if no delays happen), 2K Games and Turtle Rock Studios are getting ready for the Alpha stages of the game and have released the Evolve system requirements for the world too see and wonder how come they’re so low. Whether you’re using a lower-end PC or just value frame-rates over quality: We turned down the settings a bit and turned off AA to get some extra frames on an older test rig in the office. Higher-end PC gamers: You will obviously push to Ultra settings and dial back as needed. As I was saying, these are some really decent system specifications, especially after seeing scary requirements from more recent games. Clearly, high quality games can be done and ran on non-futuristic rigs too! Next articleHow Scary Is… The Evil Within?